We all have experienced some concern about our health at one time or another. For example, when a cold persists for more than a few days or if we are experiencing a persistent toothache while eating. Some worry about our health is a good thing since it helps in keeping us healthy by participating in annual health checkup or dental exams. However, for some people the anxiety about health can become overwhelming. The worry about having or contracting a disease persists despite medical tests indicating that a person’s health is fine and doctors providing reassurance that they can’t find anything wrong. People commonly report having anxious thoughts such as “my test results are not accurate”, “the doctor has made a mistake and did not detect the disease” or “I should go and get another doctor’s opinion just in case”. If you are experiencing health anxiety, you may find yourself frequently checking and scanning your body for possible signs and symptoms of a disease. On the one hand, you maybe spending significant amount of time researching medical information (e.g., online or reading books), seek reassurance from family and friends, and get repeated medical tests done. However, on the other hand, you might be avoiding doctors, hospitals, seeing medical information on TV, online or in books. The health concerns and associated behaviours can lead to significant distress and interference in an individual’s daily activities, work, travel, school, family and social relations. It is important to note that a person experiencing health anxiety is not intentionally producing or “faking” their sensations. The sensations or physical changes they are reporting are real, however, they are misinterpreting it as a sign of a serious illness. 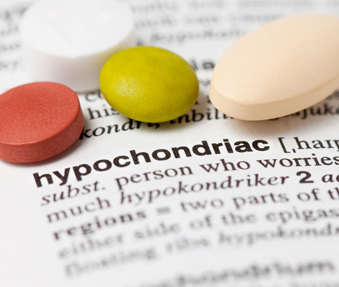 Research based psychological interventions such as Cognitive Behaviour Therapy (CBT) have been found to be an effective form of treatment for Hypochondriasis or Health Anxiety. Dr. Ahmed & associates’ approach to psychological interventions is grounded in scientific-based approaches such a CBT, and they often integrates elements from other therapeutic modalities, such as mindfulness, motivational interviewing, schema focused therapy and client focused therapy based on their clients’ needs and preferences. Dr. Ahmed & associates provide their clients with services that are customized based on the goals they are hoping to achieve. The sessions will provide you with the skills and strategies to manage your anxious thoughts, not be fearful of your physical sensations and begin to participate in activities and situations that you may be avoiding. Taking the first step towards seeking help for your anxiety can be challenging. In particular, speaking to a psychologist may seem daunting but rest assured Dr. Ahmed & associates provide a supportive, collaborative, and non-judgmental environment so that you can feel comfortable expressing your concerns. Participating in psychological services can help you learn how to overcome your excessive anxiety about your health and begin to enjoy your life instead of worrying about it.